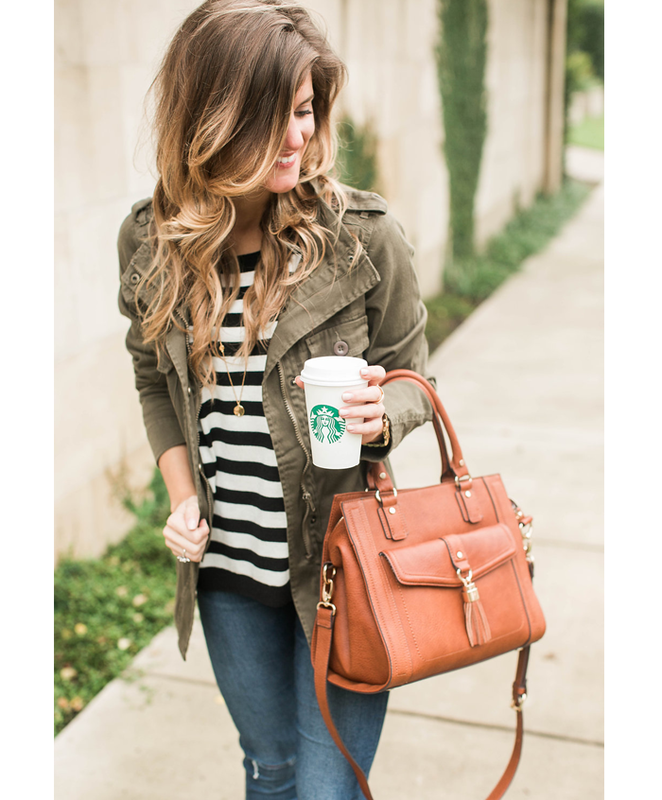 I love this suede shopper tote. These leopard booties are 25% off. This chunky sweater poncho with buttons is 40% off. This knit skirt is only $12! This chunky cardigan is 40% off. This sweater is 60% off. This quilted jacket with faux fur trim is 50% off. This necklace is on sale for under $10! 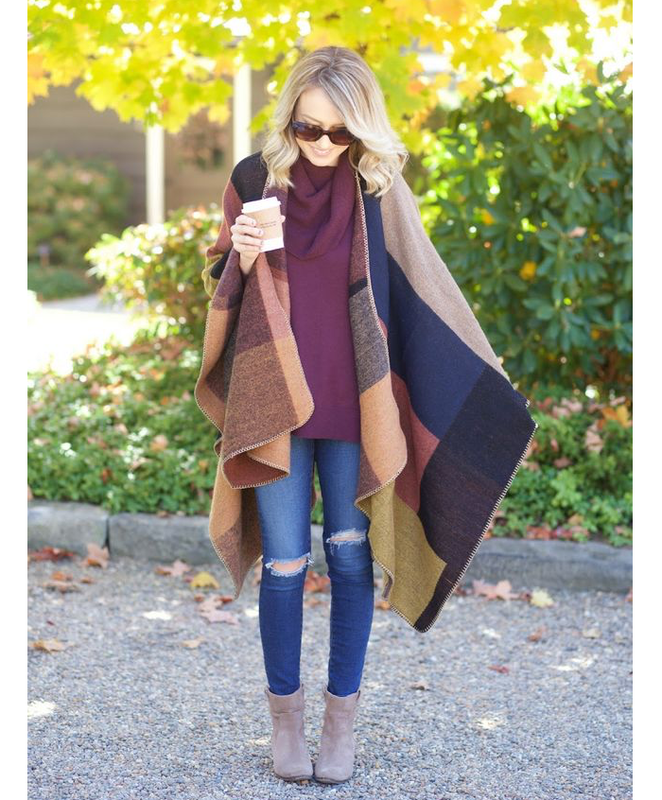 This oversized sweater poncho is only $23 - and comes in several colors! These suede booties are 25% off. This pretty rose gold frame is on sale! This white faux fur pillow is on sale. This pretty shirt dress would look great with tall boots this fall. Image Source 1 / 2 / 3 / 4 / 5 / 6 / 7 / 8 / 9 / 10 / 11 // I am participating in the following link-ups. 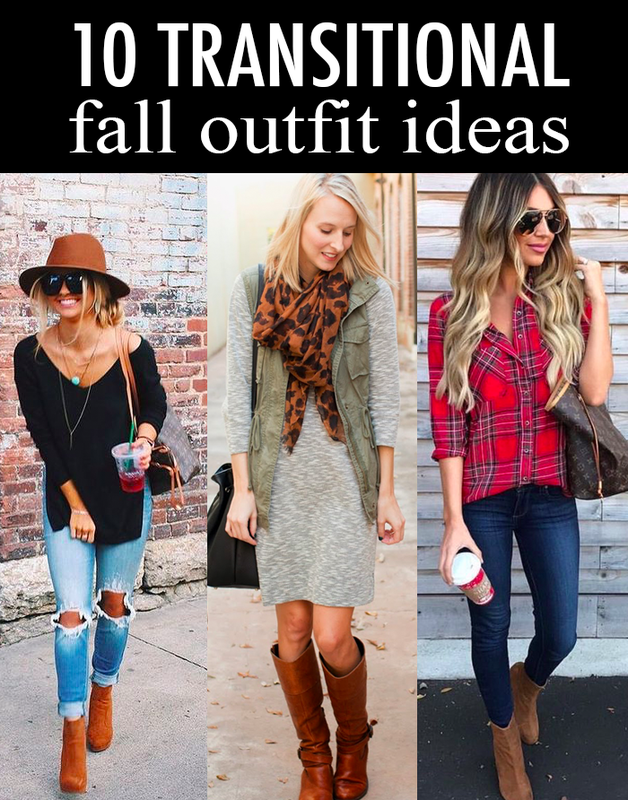 I love all of these fabulous and fantastic fall looks! 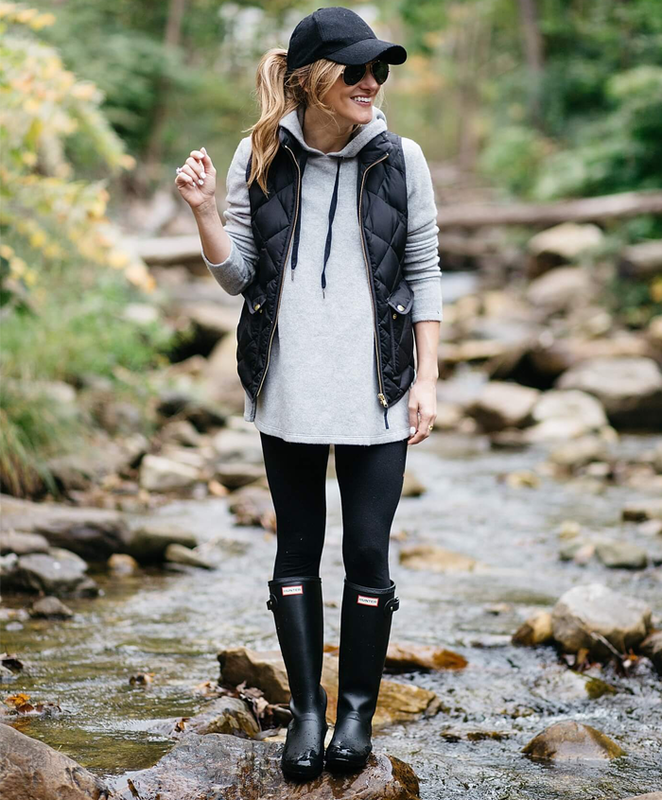 These are all such great looks that have me excited for fall! 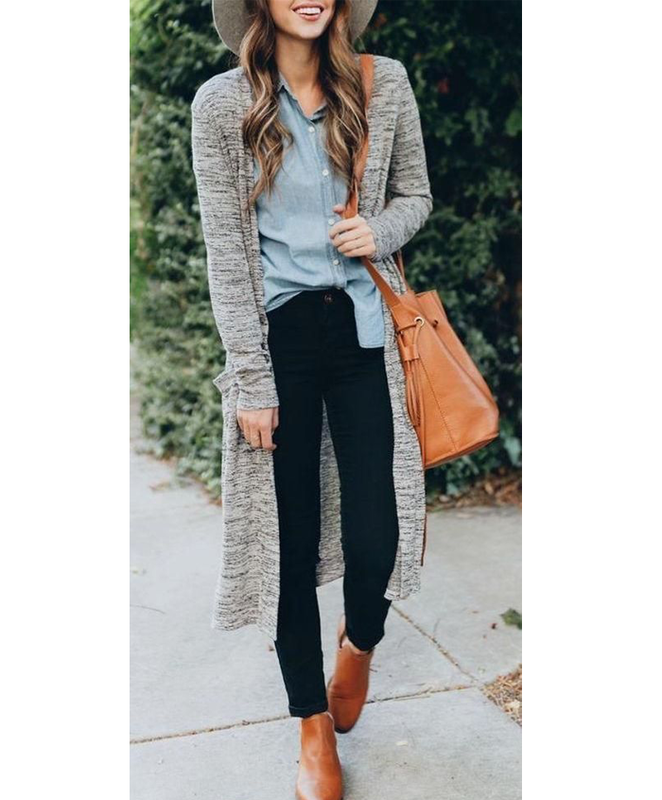 Love that long gray cardigan especially. All darling looks. The leopard and red plaid really catch my eye. 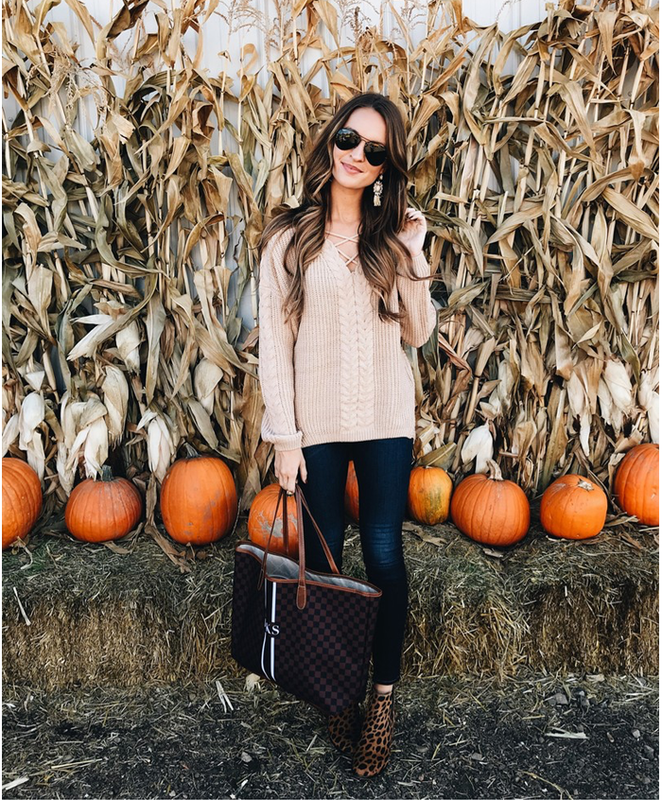 These are all such great classic fall looks! Thanks for sharing them! Thanks for linking up with the Fabulous Friday link up!